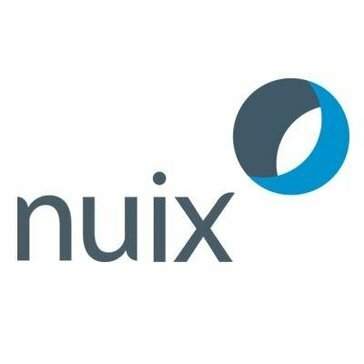 Work for Nuix eDiscovery Workstation? Learning about Nuix eDiscovery Workstation? "NUIX Workstation - Simple But Complete"
The straightforward interface and plethora of processing options together with the wide file format support make Nuix Workstation a reliable, and robust data processing option for e-discovery. The newer versions also enable distributed processing of large data sources. The addition of Abby OCR to the internal processing has streamlined the workflow tremendously. The use of RAM to process the data is a huge boon to performance - other products rely on fast hard drives and suffer from IO bottlenecks. The addition of the web review product would make this a very flexible product. Although we did not implement the review product yet, I look forward to reviewing it in the future. The occasional errors in processing are quickly resolved by NUIX support. There will be times when a corrupted PST or PDF will cause an error, but the processing will continue. Learn the scripting language - this feature makes the product much more extensible and customizable. A processing solution to integrate with our review tool - HPED from HP (formerly Autonomy). Basically, Nuix is the fastest and most thorough processing software on the market. It's a but expensive when either using the yearly all-you-can process license or the per-gigabyte system. We've looked at other processing software out there, but Nuix is the best at deleted file recovery in email slack space while maintaining it's fast speeds. With Nuix we are able to quickly process any type of data for our clients, and have it ready for review asap. An All-in-One Review platform that recognizes many file types and is simple to use, coupled with an intuitive user interface allowing a small review team to collaborate. Vendor is quick to patch bugs and release new versions with new features (quarterly). Only capable of handling small to medium cases. Licensing model and application architecture was designed for "yesterday" and limits the scalability of the product. Memory consumption needs to be further optimized. Processor clock speed, RAM, and speed of storage are all VERY important aspects to consider when using this product in a Production Environment. eDiscovery and Investigation work. Nuix Workstation has allowed for a quick deployment of an All-in-One mini review platform which is sometimes just what we need to get the work done. Its speed in processing data, its reliability, and reporting. The high cost of the annual license and other software add ons. Use in conjunction with other processing software such as LAW. We have taken out the middle guy by processing client data in house. We are saving our clients money that would be spent on vendor processing fees. "Great, i used Nuix in two projects. It was really usefull. " Nuix ediscovery tool is a great product with a fast platform to index a large quantity of data. With Nuix, i was capable to index a 1TB of forensics evidence in 2 days. Because i used in the first versions of the product, i did problem with some things like compatibility with some file system, incompatibility with some file types. I was capable to index a large mass of data in few days. For me this is the best of this tool, the way of it make the index. "Important tool for Processing large set of data"
Able to process many kind of file types, the ease of perform legal exports. Compared to other competitors in the market, nuix is the best product for processing large amount of data. Search syntax. I find it difficult to execute the search I want. Also, the email threading, to include the most inclusive email is difficult to keep as a workflow with continuous data. We are moving in mass amounts of data for multiple clients and matters. It is very fast for processing files and can process from Encase and DD images. It is very easy to make mistakes and get different results if you do not have a document, set process in place. It very fast but make sure you have a well documented process in place that is strictly followed or you will have problems. Quickly process for E-Discovery, PII Information, and data reduction. "Short time experience but very satisfactory"
There is nothing in particular that i dislike. 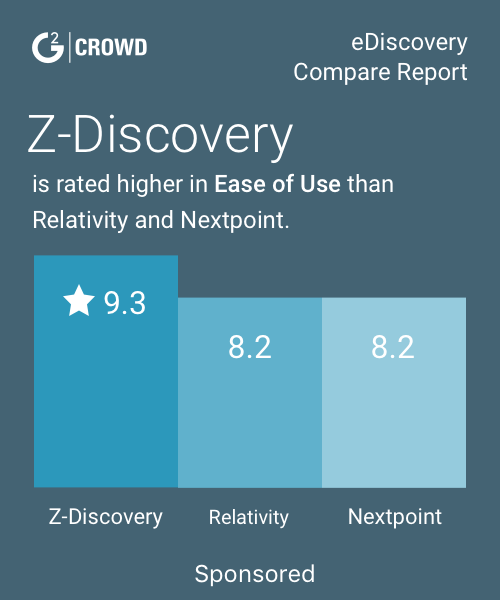 Nuix is one of the best workstation products for discovery. It is far better than Intel where we frequently enter into problems nd case management is so difficult. I currently see nuix for quick search of emails and exporting them for further review. "the product was good and easy to use"
I was able to pick specific things to select. * We monitor all Nuix eDiscovery Workstation reviews to prevent fraudulent reviews and keep review quality high. We do not post reviews by company employees or direct competitors. Validated reviews require the user to submit a screenshot of the product containing their user ID, in order to verify a user is an actual user of the product. Hi there! Are you looking to implement a solution like Nuix eDiscovery Workstation?